We encourage you to arrive Tuesday, the day before the first Opening Keynote session begin. Arriving early means you’ll be able to join professional learning pre-conference free sessions like Mobile MEGAShare, Computer Science Firehose and Microsoft workshops and earn your way around the OCCC. #FETC is teeming with amazing people from every state and 30 countries around the world. As a result, chance encounters at #FETC often lead to new ideas, projects, solutions, perspectives, and even startups! They’re as essential to the experience as the content itself. Care for Yourself: Eat. Drink. Network. Sleep. #FETC runs full throttle for three days. You’ll enjoy it more if you pace yourself: drink plenty of water, wear comfortable shoes, eat light healthy snacks at the social spaces, get as much sleep as is humanly possible. The #FETC staff depends on multivitamins, energy bars, water and plenty of coffee. Our schedule is designed to meet the needs of everyone in your district and is crammed with opportunities. Read it online, pick up a paper copy at registration and arrive daily ready to dive deeper. Watch every session. Go to every event. The best #FETC moments happen when you least expect them. It’s invariably the unknown speakers who wow the crowd. Watching every session helps you avoid disappointment, and ensures you take in each key moment as it happens. Social events, receptions, tweet ups too, are there for a reason. 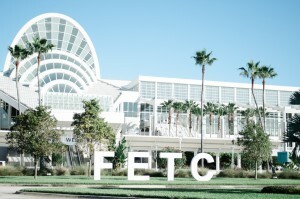 So resist the temptation to sneak back to your room, and give yourself a complete #FETC experience. Check out the social spaces we’ve put together in the upstairs areas—laptop-friendly lounges with cafés. Connect with Us, Find Your Tribe. If you plan to blog, take photos, or Tweet, use the tag #FETC. This conference is best experienced in the moment. Connecting through social media assists finding your tribe, but then, meet them face to face live! We recommend you plan to stay through the final sessions and exhibit hall closing drawing—until at least 2 p.m. #FETC is an unusual conference in that our attendees stay for its entirety—every session and special event, right up through the Farewell Lunch on closing day.